Behaviour help, advice and guidance. Home » Behaviour help, advice and guidance. 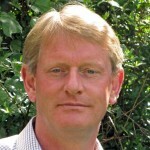 I am Richard Grant and I have been working with and training dogs since 1987. I am a fully qualified and experienced member of the Association of Pet Dog Trainers and the Animal Behaviour and Training Council, two of the United Kingdoms’ leading puppy and dog training organisations. Using simple, straightforward praise reward methods, based on proven research and years of experience, I will work with you to re-establish a harmonious relationship between you and your dog. Sometimes it is as simple as learning how to see the world from your dog’s perspective. My straightforward approach will help restore harmony to your household. I take a flexible, holistic approach that considers the dog’s role in the household, as well as the confines of peoples’ realities. You don’t have to adopt every measure I suggest; we will find a balance that ensures your dog enhances family life. (Note, behaviour challenges are often more complex than obedience training). Jumping up at home and/or when out. Not coming back when off the lead, lack of recall, if coupled with any other behaviour characteristics. Car, bicycle or person chasing. Territory, food, toy or person guarding. Dog to dog, or, dog to people aggression. What does a home visit entail? The first session would be a visit to you at home to allow me to make a complete assessment of your dog. Coming to see you at home first makes the establishment of a behaviour training program more accurate as it ensures a consistent approach when at home, as well as when out. Ideally this would be with as many of the people that have daily contact with the dog in question. I anticipate any further training will take place at your home or outside in venues local to your home, depending on the behaviour. How many training sessions do I need? There is no minimum or maximum number of training sessions stipulation, it is entirely up to you; the costs below are just for your information. If it is for a behaviour challenge, I rarely need to see anyone more than twice. Cost, payment methods and cancellation policy. Over 20 but under 80 miles from SN8 3TY. (Please email for a cost for distances above this). First visit £200. Between 1 1/4 and 1 1/2 hours. Includes a comprehensive feedback email. Subsequent visits are charged at, £120 per hour. Payment is required in full before or on the day of the appointment. (Cheque, cash or bank transfer). The full fee will be charged for any appointment cancelled with less than 48 hours’ notice. Rescue dogs. If you are enquiring about help with a dog that has come to you via a recognised rescue society, please do let me know, as there is 10% discount available for the first session. Postcode areas: SN4, SN8, SN9, SN10, SN11 only. Lower fee reflects less travelling time etc. First visit £140. Approximately 1 1/4 hours. Includes feedback email. Any subsequent visits will be charged at, £90 per hour.